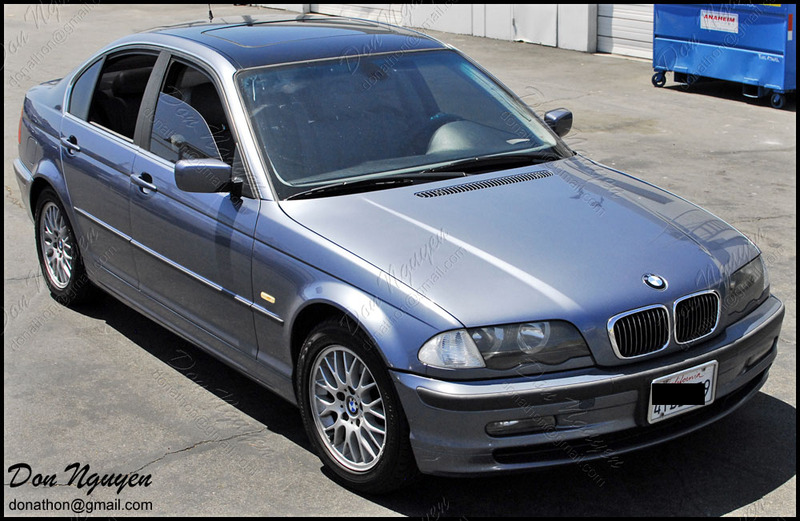 Here is a somewhat more recent BMW E46 328 sedan that I recently did some work on. I vinyl wrapped the roof of this car in my gloss black material. I believe the owner of this car was from around the Cerritos / Long Beach area and came out to my shop in Anaheim Hills to get the vinyl wrap done for his roof. We decided to go with the gloss black to give it that panoramic look and kind of update the look of the older aging car. The roof was beginning to fade, so with the vinyl on there, it'll end up help protecting whatever is left of the paint underneath it and at the same time give the roof a new/fresh finish to look at. I wanted to post pictures of this car, to show even on a more stock looking car, a gloss black roof is still a nice mod/addition.